I’ve recently gained an interest for video game narratives. This interest stemmed from my experience in a narrative theory course that I took. Of course, this class wasn’t about video games, but by analyzing narratives from literature, I noticed many parallels with video game narratives. I found myself asking this question: Are video games actually a valid medium for storytelling? 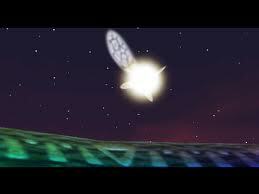 Take The Legend of Zelda: Ocarina of Time, for instance. The story is pretty standard, i.e. young boy goes on a journey to save princess, etc. A non-gamer might use this point to claim that the medium of video games are too limited to be capable of a quality narrative, and have to rely on conventional formulas. In fact, conventional formulas are extensively used in even the greatest literature, so why can’t video games be considered a type of narrative? I’ll attempt to simplify the definition of these characters (even though some of them are self-explanatory) by applying them to Ocarina of Time. Obviously Ganondorf. His main goal is to prevent the hero from succeeding in his quest. The donor supplies the hero with a magical object that will aid him on his quest. 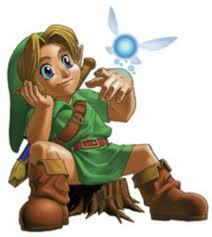 Saria fits this role, because she gives Link the fairy ocarina. Exactly as it sounds. This could apply to many characters, but I would think that Navi fits this best. She provides Link with instructions on where to go next, enemy information, and more. I can’t really apply this character to Ocarina of Time. 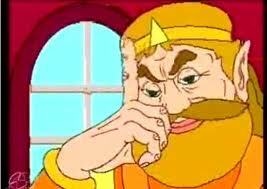 Is King Hyrule ever mentioned? And no, it’s not King Harkinian. This role is to explain the actions of the villain to the hero. The Great Deku Tree fits the bill. Some guy named Link. You might have heard of him. A person who attempts to steal the fame of the hero. Not applicable for Ocarina of Time. As you can see, 6 out of the 8 folktale characters are present in the game. Propp also lays out typical plot elements that are found in most narratives, and unsurprisingly, Ocarina of Time features many of these. What I’m trying to point out here is that these formulas made for literature are also interchangeable with video games, therefore video games should be considered as a viable source for narrative. As gamers, we are already aware of the rich narratives that games can provide, but it will take a lot of explanation for non-gamers to get over their “video games are mindless” point of view. What other games follow these formulas? You might be surprised.